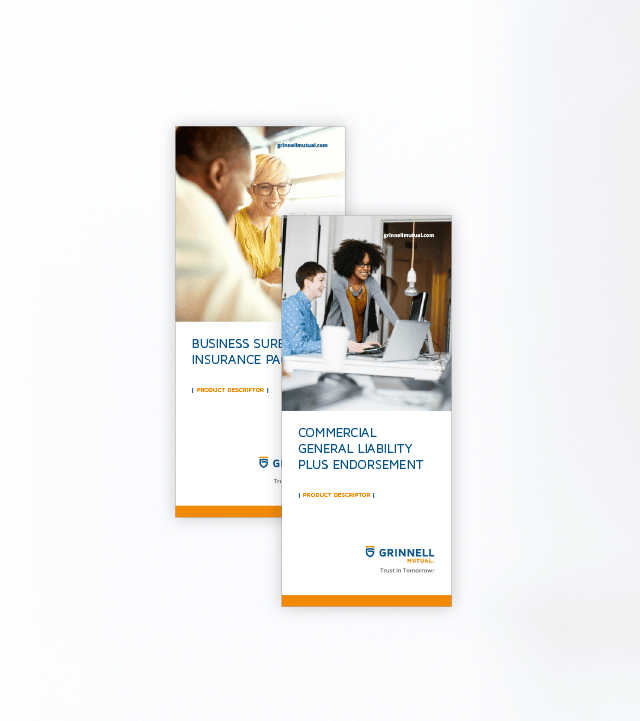 Grinnell Mutual is among the top 5 percent of property and casualty insurance companies nationwide and the largest primary reinsurer of farm mutual companies in North America. 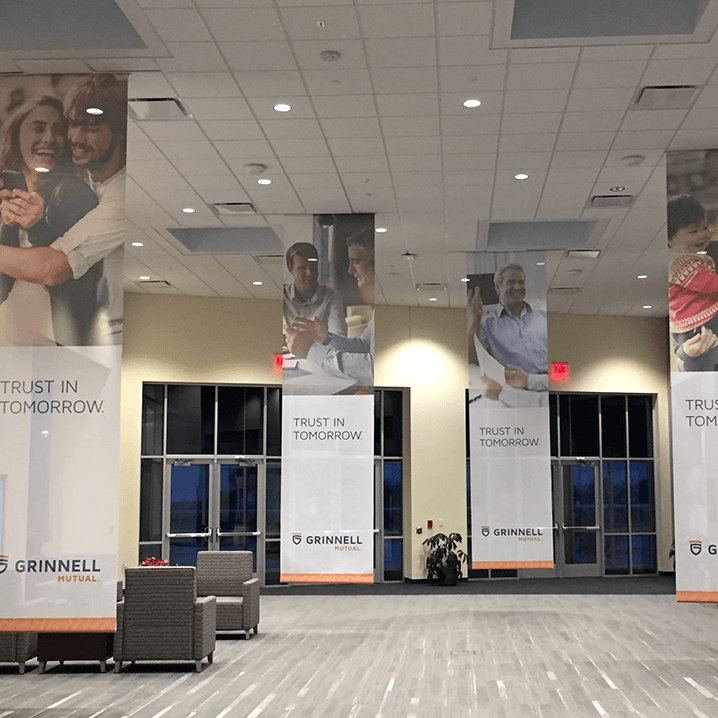 Grinnell Mutual needed a new brand identity that would inspire their employees and engage their many stakeholders. Meyocks helped them develop and launch a brand that embraced the core principles of their past, while focusing on the promise of their future. 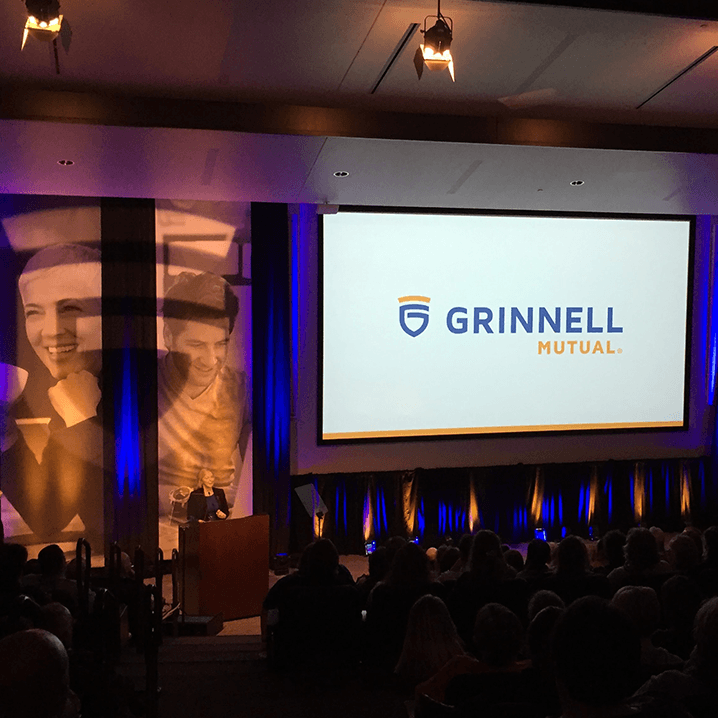 Grinnell Mutual was becoming a more modern and forward-looking company. The face they were presenting, however, did not reflect the company's evolving reality. In fact, their brand identity hadn't been updated since 1963. They needed a new brand identity that would resonate with both current and potential customers. First, however, they needed to ensure their core business audiences were invested in the process. 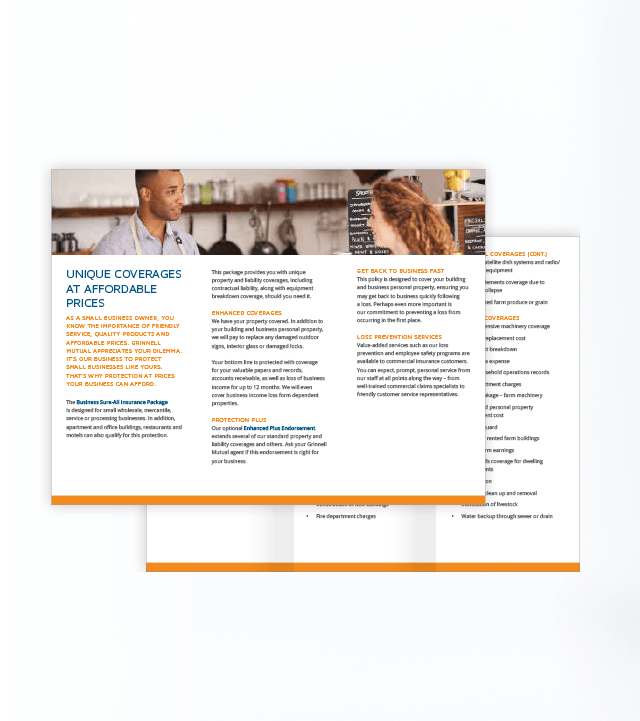 Meyocks helped Grinnell Mutual redefine their brand through a thoughtful, research-driven brand model development process culminating in a comprehensive, phased marketing communication plan. A combination of brand input sessions with local mutual companies and independent agents, phone interviews and an online quantitative study identified the relative importance Grinnell Mutual's stakeholders assigned to a variety of brand attributes. From these results, Meyocks defined a brand personality and brand positioning statement that would be meaningful, credible and differentiating within the marketplace. 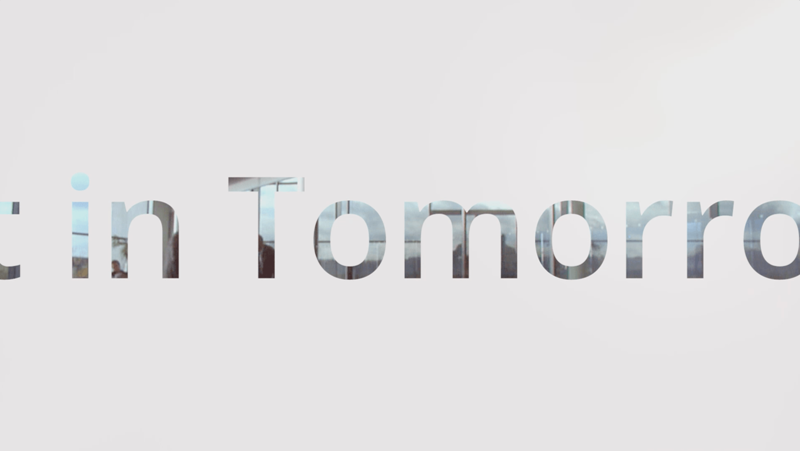 The new tagline — "Trust in Tomorrow." — summed up Grinnell Mutual's current strengths and most important attribute, while positioning them as a company looking toward the future. 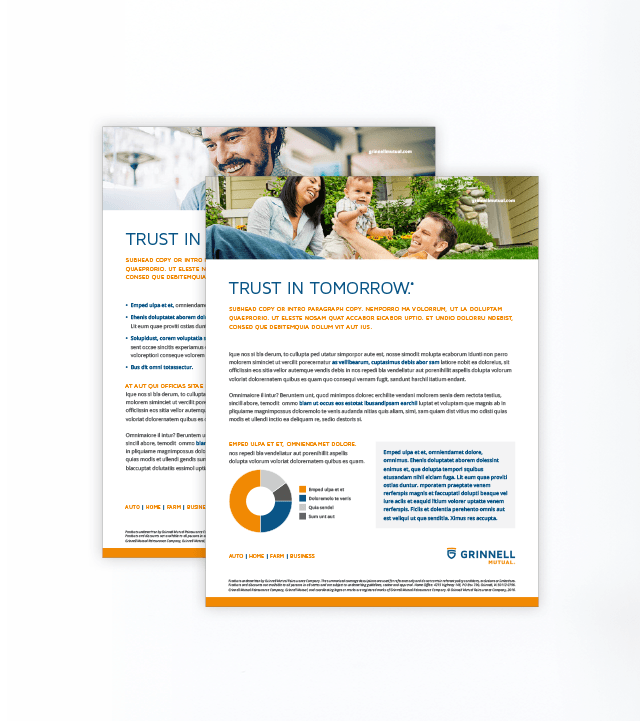 A complete brand architecture cleanly outlines the relationships for multiple Grinnell Mutual brands. Meyocks provided Grinnell Mutual with a complete suite of materials consistent with the launch of a new brand identity, including: core identity materials such as letterhead and business cards; collateral and internal marketing materials; brand guidelines to assist internal marketing team members with consistently representing the new brand; print, television and radio advertisements for both corporate-sponsored media placement and co-op programs; and a brand manifesto and anthem video. The launch of the campaign within the consumer marketplace also included thoughtful analysis of paid media tactics to ensure Grinnell Mutual received the best return for their marketing dollars. 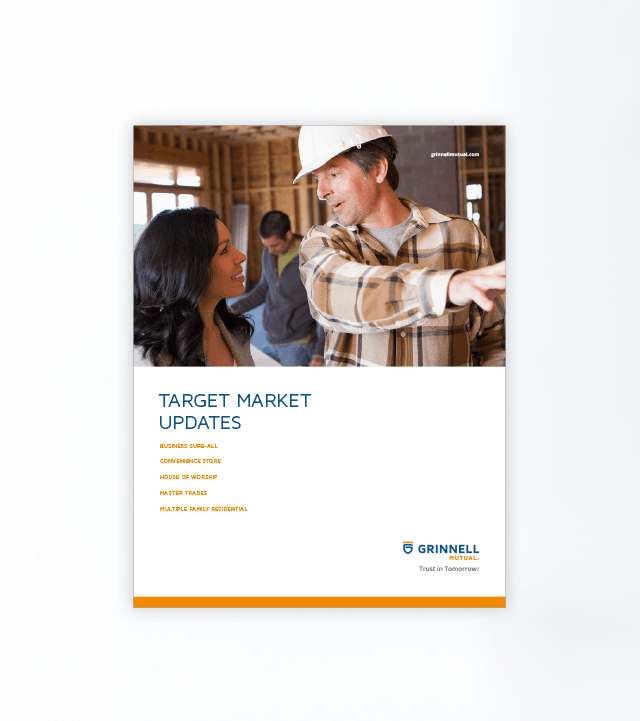 Initial research had also confirmed that agents and mutuals agreed their business would benefit from a stronger alignment with the Grinnell Mutual brand. Meyocks developed a unique companion mark that members could utilize to designate their relationship with Grinnell Mutual. Meyocks provided strategic counsel from start to finish — advising our client contacts and leadership executives on key challenges to ensure a smooth introduction. From recommending the best process for updating more than four decades of materials, to controlling the cadence of the brand introduction to ensure consideration of each audience, Meyocks worked with our clients to achieve maximum impact from this rare opportunity. Prior to the public launch, staggered employee, mutual and agent simulcast events were held to introduce the new brand to key stakeholders in an appropriate manner. Initial reaction to the new brand from employees, agents and mutuals has been extremely positive — a testament to the value of the process by which it was researched, developed and introduced. Pre-campaign launch research was used to establish a baseline of consumer awareness and perceptions. Once the consumer campaign has completed its initial run in November 2017, post-campaign research will measure improvements of those metrics.